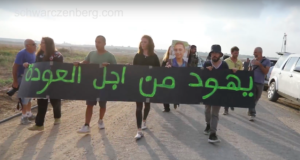 Last Tuesday Sireen, a 24 year old woman from Tubas, was detained by Israeli forces. She is currently being held in Al Jalameh, an Israeli prison. Her family and friends fear for her safety. She has been denied access to a lawyer and she has not been allowed to make any contact with her loved ones since her arrest. At around 3pm last Tuesday Sireen’s car was stopped at a temporary checkpoint on the road between Nablus and Tubas in the West Bank. After brief questioning by Israeli forces she was detained. The second person in the car was also detained. 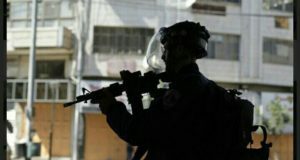 In the early hours on Wednesday, Israeli forces raided Sireen’s family home whilst her father Khalid Sawafteh, her mother, three brothers, sisters in law and their two young children were sleeping. Twenty-five army jeeps entered the town of Tubas. Twenty officers entered the home and over one hundred remained in the street cornering off the house. The family and young children were all taken into one room whilst their home was ransacked. Israeli soldiers took all the computers in the house leaving Sireen’s relatives in shock. Tubas is located in Area A as designated under the Oslo Accords, an agreement drawn up between the Palestinian Authority and the Israeli government. ‘Legally’ it is under total Palestinian civil and military control. Israeli civilians and military are prohibited to enter Area A and any incursion into this area is considered a breach of this agreement. 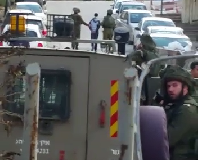 Despite this, Israeli forces have continue to carry out ‘operations’ in Area A. 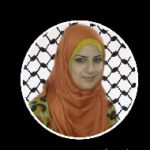 Since her detention, Sireen has been forcibly transferred out of the Occupied Palestinian Territories to an Israeli prison in Haifa located in the north of Israel, a practice illegal under international law. Article 49 of the Fourth Geneva Convention states that individual or mass forcible transfers, as well as deportations of protected persons from occupied territory to the territory of the cccupying power or to that of any other country, occupied or not, are prohibited, regardless of their motive”. While Article 76 states clearly that ‘protected persons accused of offenses shall be detained in the occupied country, and if convicted they shall serve their sentences therein”. Last Thursday, lawyers acting for Sireen tried to visit the prison inside Israel where she is being held. They were refused entry. She appeared in court on Monday with her hands and legs shackled. The spurious charge was internet activism, creating a Facebook page which is considered a ‘threat’ to the ‘security’ of the region. 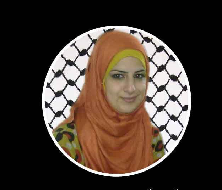 Sireen is active in the non violent campaign for human rights in Palestine. She studied computer science at the Open University in Tubas. During her studies she was actively involved in a twinning project between Tubas and the University of Sussex, England. She took part in a delegation of students which visited the UK from Palestine to strengthen links and foster friendships. Many Palestinian women prisoners suffer abuse during their detention. Palestinian women prisoners are often kept in the same cells as Israeli female convicts. This practice often leads to female Palestinian prisoners being humiliated, suffering from threats and assault perpetrated with impunity by the Israel prisoners. Sireen was in court for the second time this Wednesday. The judge extended her detention for a further 6 days. She will appear again on Monday, when it is possible her detention will be further extended. Support all Palestinian Political prisoners!